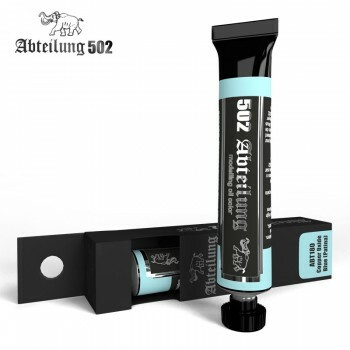 Abteilung 502 Copper Oxide Blue (Patina) Oil Paint 20mlThis colour is a patina to be applied over the initial colour and then removed leaving a subtle layer over the paint. This Copper Oxide Blue colour has been designed help weathering copper structures of your models. It can also be used over the Panzer Gray if looking for an alternative result or on sci-fi vehicles.